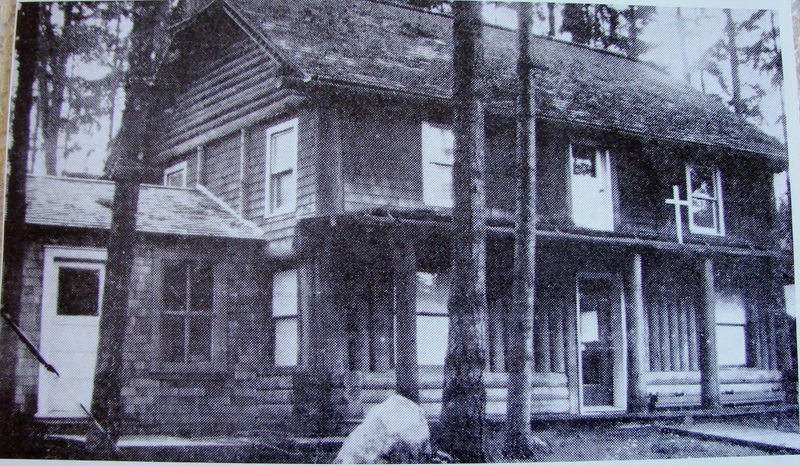 Mr. Thorpe’s log cabin became the Chapel of St. Ignatius in November 1929. The small room on the left side was added for use of the priest to rest and change clothes after travelling out from Seattle University. Photo courtesy of historical records of Our Lady of the Lake Catholic Church.